Do you get lost easily when you are on your way to a wedding? Pull up to a big hotel or wedding venue and wonder “Okay, now where is the wedding? !” Where do I park? How far do I have to walk in these new heels? Just me? Well since I am ALWAYS the one that gets lost, I can always use a little guidance! hehe! 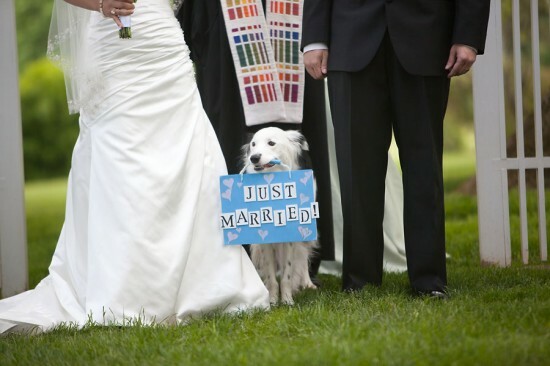 Wedding signage is now being used in such fun, creative ways, and it is one of my favorite wedding decor pieces! Signage can be directional (which I appreciate! ), or just a few fun words incorporated into a photograph. Signs are a very inexpensive way to communicate to your guests on the day of the event, or to let a little of your personality show through. 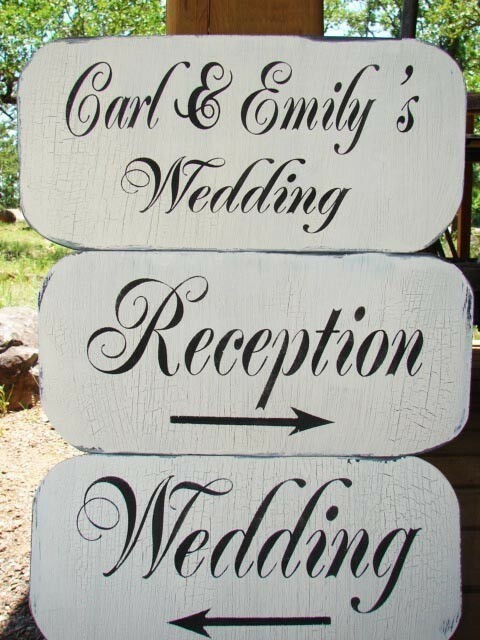 To lead your guests to your ceremony or reception, consider some directional signs. 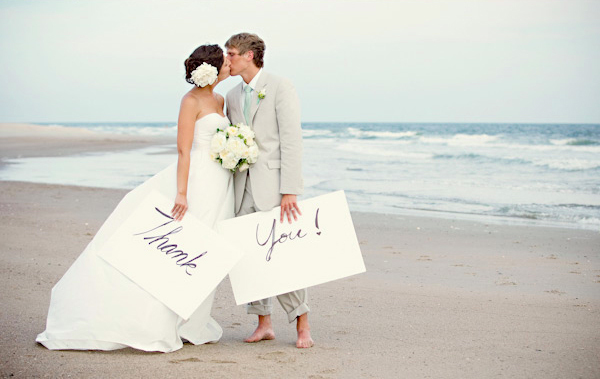 Depending on your venue, you can have signs that stick into the ground, or that are hung. Some of the cutest signs I’ve ever seen have been hand-made, right from the old wood and paint that is in your parents garage! Find someone with decent handwriting and go to town! 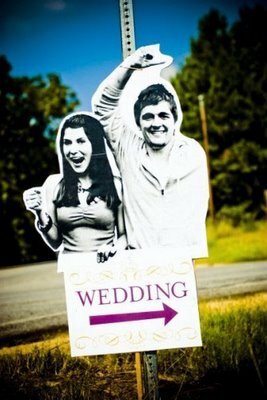 Why not a cute “Welcome to our wedding” sign? Or even a “You’re here! 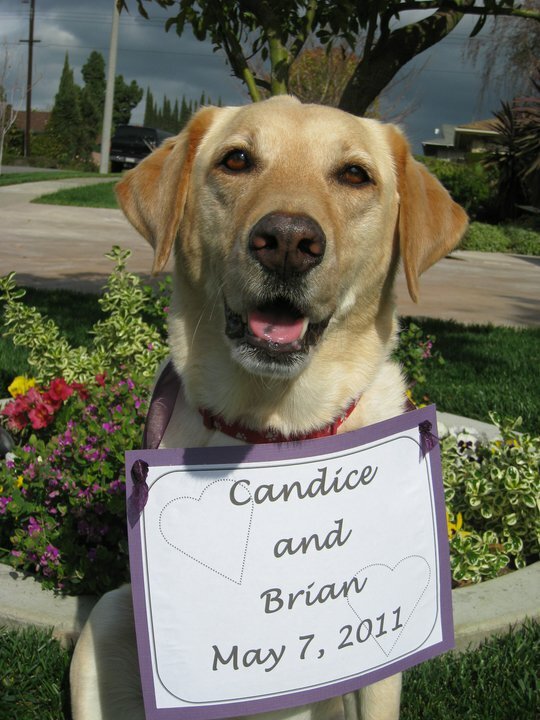 Now we can get hitched!” banner that guests see as they arrive? The sky is the limit! 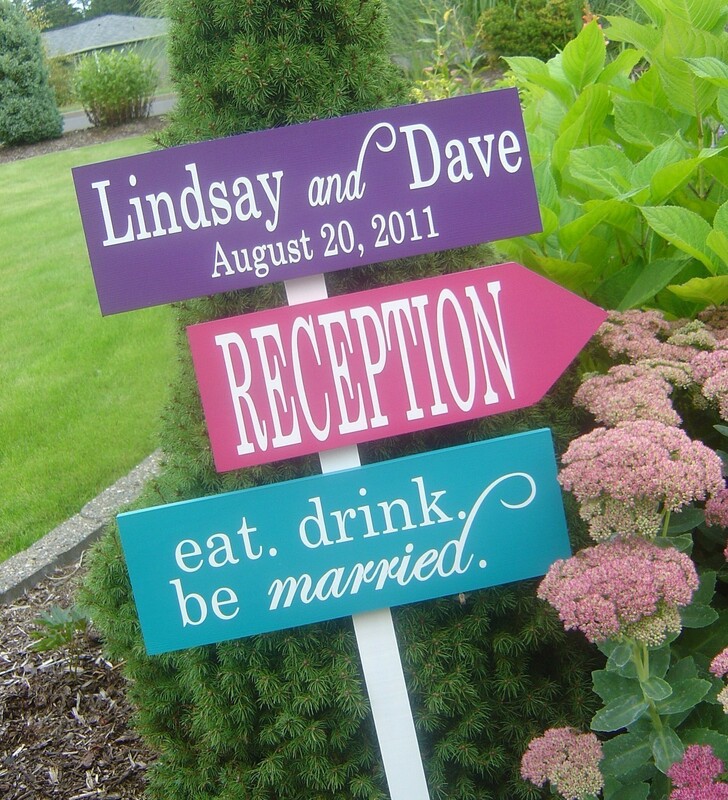 Once the party has begun, signs can be used all over your reception area. From tiny flags in your cocktails with your initials on them, to custom labels on your dessert station. Who is going to know those cookies are grandma’s recipe if you don’t label them?! Guests love to feel like they know what is going on…. where to go, whats next, what to do with this or that. Label things and make signs to keep them in the know, but also to just add a unique touch to your set up. If you want to provide your female guests with flip-flops to save their tired, dancing feet, make a cute sign that says “Kick off your heels, slip these on, and get back on the dance floor! Courtesy of the Bride and Groom”. They will sure appreciate the gesture! 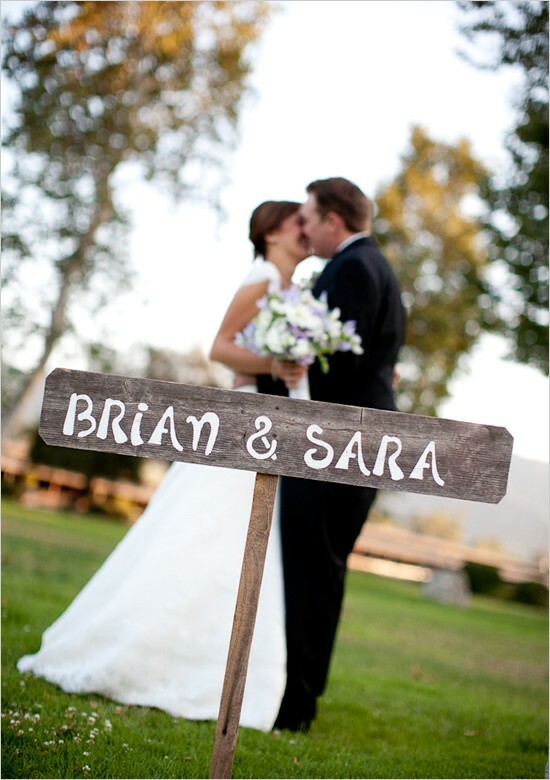 I’ve seen adorable signs made of burlap, chalk boards, or wooden pieces. They can be printed from your home computer, or enlarged at kinkos. They can be hand painted or drawn on with some help from a stencil. Bust out those paint brushes and lets play! 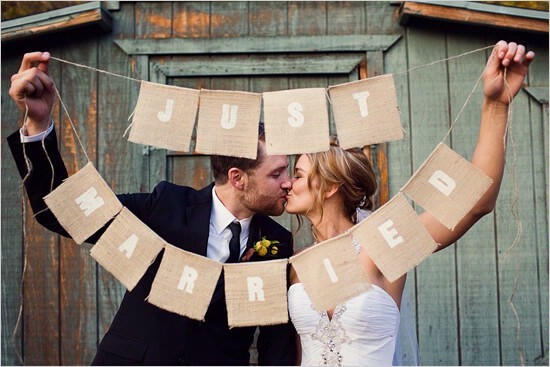 The handmade wooden signs are so easy to make, and have such a down home, vintage feel. Fun, colorful posters and banners can add a playful touch, while a classic black and white sign with some gorgeous brush script font looks elegant and chic.